Nendoroid Iron Man Mark 7: Hero’s Edition from popular movie The Avengers is available for pre-order starting today. From the worldwide hit film ‘The Avengers’ comes a fully articulated Nendoroid of Iron Man – the hero that industrialist billionaire Tony Stark becomes whenever he puts on his powerful armored suit. The unique metallic look of the Iron Man suit has been faithfully recreated in Nendoroid form for fans to enjoy! 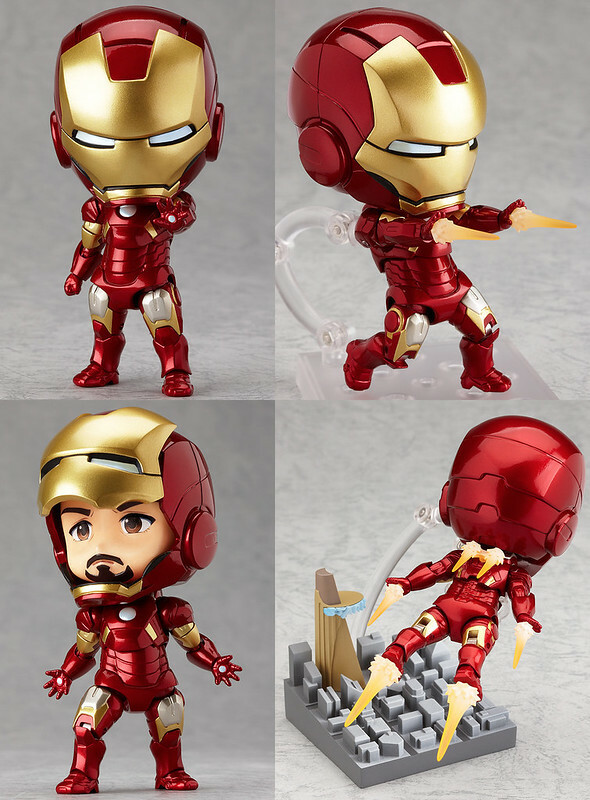 As previously known, he is a fully-posable Nendoroid, coming with some booster effect parts, and you can also display him either with a closed or open helmet (with cute Tony Stark face in Nendoroid form). This Nendoroid will also bring along a special dioramic pedestal – Stark Tower included. Nendoroid Iron Man Mark 7: Hero’s Edition is scheduled for February 2013, priced at 3800 Yen. Meanwhile, Nendoroid Asuna from Sword Art Online, who has been previewed by Mikatan a few days ago, is also available for pre-order today. The beautiful knight who excels at cooking! 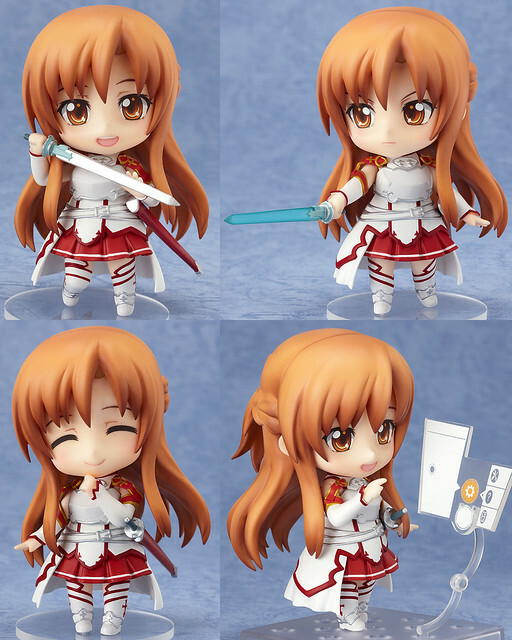 From ‘Sword Art Online’ comes a Nendoroid of the beautiful knight and sub-leader of the Knights of Blood, Asuna! She comes with three different expressions including her standard expression, a serious expression to for combat poses and even the cheerful smiling expression she often showed to Kirito! Her rapier, ‘Lambent Light’, is included in both its standard form as well as the form it took whenever she made use of a sword skill, allowing you to recreate all sorts of scenes from the online world of Sword Art Online! Nendoroid Kirito will also be announced shortly, so you’ll be able to display the two of them together! Nendoroid Asuna is scheduled for March 2013 release with a price tag of 3500 Yen. This entry was posted in News and tagged asuna, ironman, nendoroid, sword art online, the avengers.